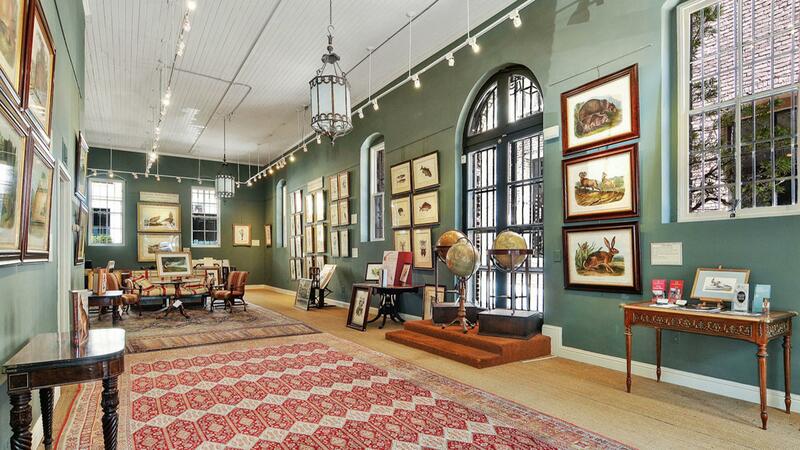 Rent Arader Galleries | Corporate Events | Wedding Locations, Event Spaces and Party Venues. In the heart of San Francisco's historic Jackson Square, Arader Galleries specializes in extraordinary antique engravings, lithographs and paintings. We offer an outstanding selection of historically important maps, natural history and botanical works. In our glorious19th century brick building we offer beautiful, spacious accommodations for corporate meetings, lectures, film premiers, book signings and private gatherings. The space is guaranteed to leave a lasting impression on your guests! Our gallery directors are happy to work with you to create a memorable event that fits your specific needs.We welcome your inquiries regarding the use of this space for your next private or corporate event.